Two minor elements impact my writing of this review. 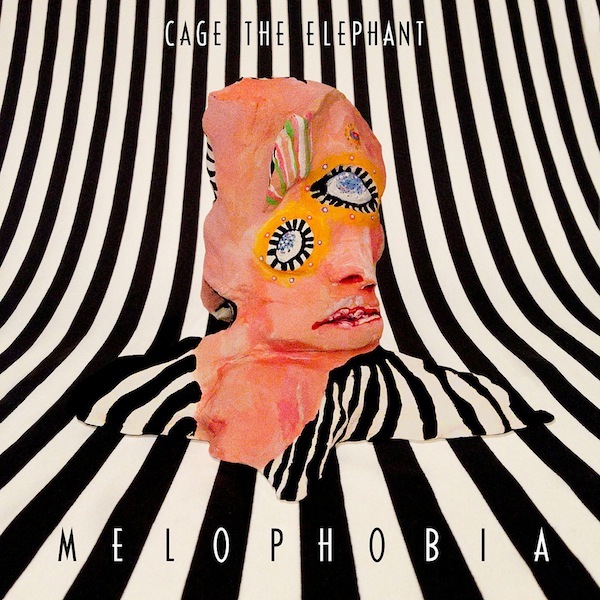 The first being my research into the phobia of music, aka melophobia with the similar connection between the cover art of Cage the Elephant’s (CTE) third studio album and Tara Sinn’s artwork depicting the same phobia. The second being the absolute understanding that I will be repeatedly revisiting this album, finding new catchy hooks and melodies for years to come. 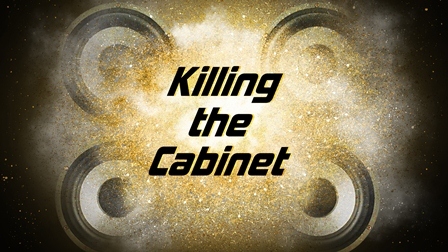 As out of touch this may seem with the idea of an album review, I do find any weaving throughout to be of interest and used as a fresh way of taking CTE’s meaning of melophobia for the title of their ten tracks. In the band’s website biography, they share that, “throughout the process the musicians stopped listening to other musical recordings almost entirely…” Combined with Matt Schultz’s inspiration being drawn from, “Your mind recreat(ing) things that aren’t based so much on physical truth but more based on emotion.” In this way, the creative process was as free as it could be from the perceived society’s nod of the head. As completely frightening and unlivable the notion of possessing a fear of music seems, CTE reverses this concept by appreciating losing your disregard for the making of pleasant and recognizably comfortable music. Yet, as with anything so drastically revolutionary, we tend to forget those who actually suffer from melophobia (sparking generally from a more medical ailment in the ear). Many even being musicians who are as hopelessly devastated as you think they would be. So what does this mean for ten tracks that were crafted from memory rather than rocking out and infiltrating inspiration from the latest Drake album? It means that as imaginative as this album sounds, with songs consisting of flash and brilliance inside of supreme rocker instincts, there are still heavily depicted moments of comparison to other artists (Tame Impala, The Beatles, The Strokes, Jack White). This goes to show how conscious our musical memories are, that inspiration radiates through our every breath. I formally mentioned the freshness involved in MELOPHOBIA [RCA Records, a division of Sony Music Entertainment] (Out Now!) and am here to restate this fact. Cage the Elephant’s self-inflicted melophobia did succumb these lads to a daintily distorted onslaught of rich instrumentation boisterously configuring itself around catchy vocal melodies. Clean and professional enough to set your mind in a sing-along, yet cranking and clanging in order to spin the threads of rock around and over all thirty-seven minutes. The bridge of “Teeth,” namely the instrumental beginnings, pulsate magnificent quirky beats being able to breach on both the pretty and the strange. With the longest track being just under five and a half minutes, this album moves through very quickly. Just what you were looking for after a plethora of synthy female vocals, CTE goes straight to the point, never hesitating, prolonging, nor boring your curiosities or enthusiasm. As lethargically tantalizing as “Come A Little Closer” is, in all its radio play glory, it absolutely promises a peek into the rest of the album’s wonder. For example, a Simon & Garfunkel-esque “Telescope,” will weasel its way into your soul, and probably on the sixth listen you’ll stand jaw-dropped, collapsing in revered passion. So what is my favorite track? I’ll let you know in about a week after continued listens so that my mind and body can try to make a greater stab at understanding all these fabulous components. TAGS: Free The Rabbit, Great albums of 2013, October rocks!, More great album reviews, here, here and Don’t Miss This Album from Dale Earnhardt Jr. Jr.